Winter makes you crazy because you spend so much time cooped up without fresh air or sunlight. With that in mind, some people in New York City have plans in the works for an underground park—the Lowline—to be built in an abandoned trolley station and lit through a remote skylight system. The remote skylight will use a reflective, parabolic solar collection dish outdoors to gather and concentrate sunlight. This dish will have a tracking mechanism so it can follow the sun across the sky. Fiber-optic cable will transmit captured solar radiation to the park; a series of domelike fixtures will use lenses and reflectors to distribute the light throughout the Lowline. 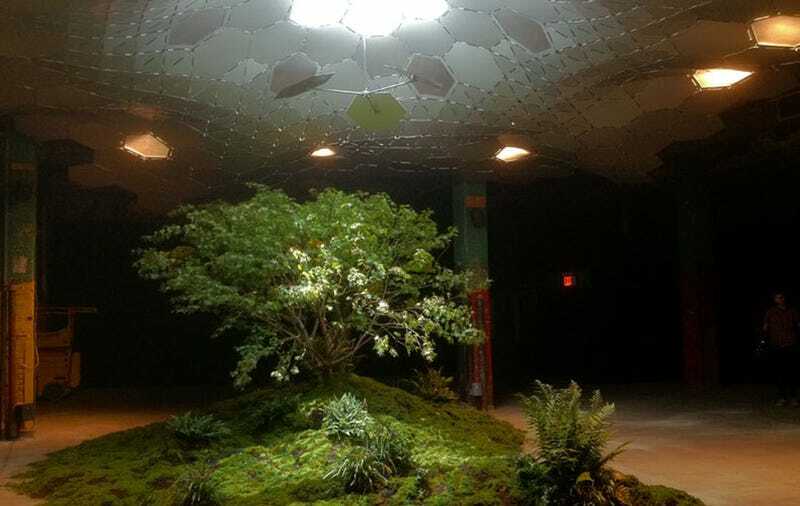 The fiber-optic cables will allow Lowline organizers to set up as many remote skylight fixtures as they like.